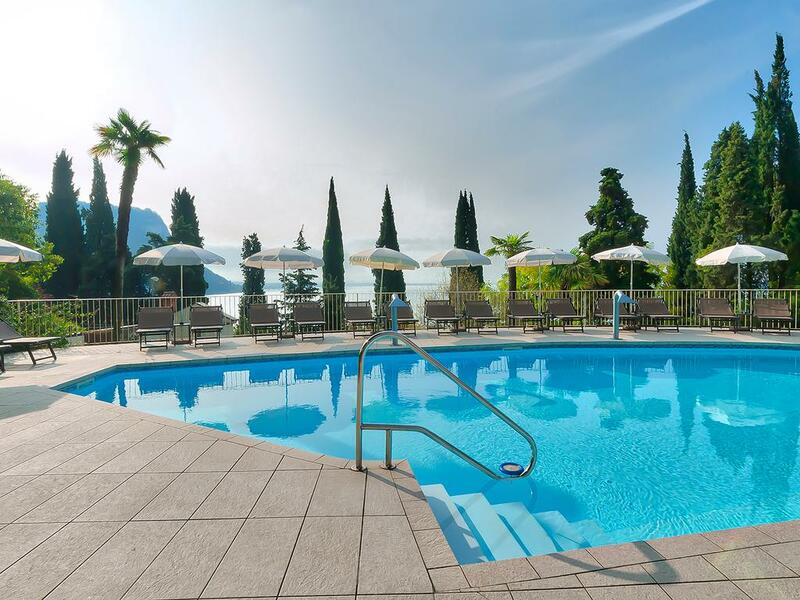 The light blue of the pool reflecting on the dark blue of Lake Garda. Palms, Agave and Lemon trees surround your relax. Open from 9am to 7pm with whirlpool bench and neck idro- massage, sun umbrellas and lounges are at your disposal free of charges. A Jewel for our guests. Open every day from May to September, 10am to 7pm, directly on the beach towards Punta San Vigilio and only 600meter from the Hotel you’ll find an exclusive garden providing sun beds and umbrellas for your own use. The rich breakfast buffet to enjoy even on the panoramic terrace. Light snack on the swimming pool side. The afternoon tea time to fill you with pleasure for a sweet siesta. Let yourself be tempted for the variety of our refined evening menu. Our purpose is to give for every moment of the day an extraordinary experience. Our food will please even the demanding Connoisseur: classic Italian dishes, the Veneto and our lake specialties, High Cuisine proposal. Our Chefs are at your complete disposal for any special request, vegetarian diet, a food intolerance . For a morning full of energy, fresh fruit, yogurt, a fine selection of teas, the best from our bakery, cheese, vegetables, eggs and bacon, and much more. And of course the Chef preparing the omelettes of your choice. Breakfast on our terrace is a must with the sun peeping through the trees, it is an intense emotion ...The best way to start your holiday day. Our cuisine is based on simple ingredients which matches each other in taste and harmony producing a medley of Italian and international flavours and bound to our lake Garda traditions. The classic dishes go well with innovation and creativity giving you the possibility to pass from a typical Italian dish to a more elaborated cuisine. A festival of flavours, colours and fragrances. A rich hors d’oeuvre and fresh vegetable display starts your evening meal ending with irresistible temptation with our famous dessert buffet. Surrounded by old stone walls, encircled by the scent of oleander, lemon and cedars, the terraces overlooks the Gulf of Garda and give you unforgettable moments accompanied by colors and relaxation that only a majestic view of the lake can be dedicate you. The soft back ground music, the attention to every details, swimming pool amidst the terraces and there, haven of peace and freshened, our 4way bar were you can let yourself be cuddled in total tranquility from long drinks summer juices or refined cocktails in the shade of centenary trees. The concept of the island shaped bar: the center of your holiday between swimming pool and lake, terraces and tea lounge. Daily from 8am to 12pm the 4way bar is open and the staff ready to welcome you for a good creamy cappuccino or delicious cocktails. From May to September from 12am to 1.30am, you can order from our “Piccola carta” first or second courses and jumbo salad with our Chef ready to satisfy all yours wishes. For a bite to eat outside this time you’ll find toast, mini pizze, ice cream and fresh fruit salad. Every day from 4pm to 5pm by the bar a buffet with variety of tea, coffee, biscuits and cake for a pleasant afternoon rest. Verona, Bergamo and Brescia Airports, with their low cost flights, are the best way to arrive on Lake Garda. For our clients that arrive by airplane or train we can organize a transfer to the hotel with a special rate. 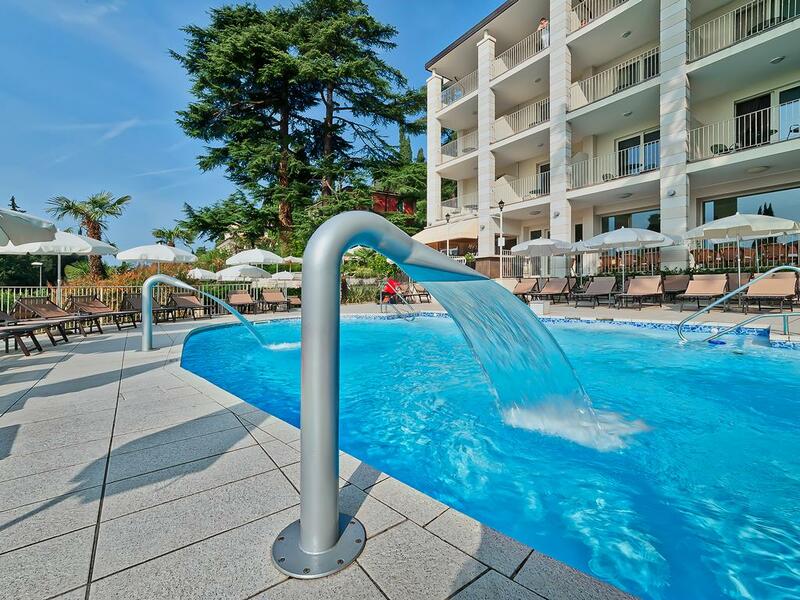 For reservations directly with the hotel and minimum stay of 5 nights, we can also offer free transfer from Verona airport or from the Train Station of Verona and Peschiera del Garda. The Hotel has a free parking upon avaiability. It is not possible to reserve it in advance.